If you, like me, are among the 50 million people in 73 countries for whom it is a family tradition to watch the New Year's Concert of the Vienna Philharmonic, you might want to pay special attention to the performance of the dancers of the Vienna State Opera Ballet that accompanies some of the music this time around. Why? On January 1st, 2014 they are dancing at one of the Princely Family's Viennese palaces, the Stadtpalais. After four years of extensive renovations and about 100 million euros spent, the "city palace" - as opposed to the "garden palace" - was reopened earlier this year. The Stadtpalais came into the hands of the Liechtenstein family on April 23, 1694 when Prince Johann Adam I purchased the unfinished building from Count Dominik Andreas of Kaunitz, an Austrian diplomat. Construction according to plans of Enrico Zuccalli had begun three years earlier. Prince Johann Adam I had the construction completed by Domenico Martinelli, who created the first monumental Baroque portal in Vienna on the front facing Bankgasse; the second side portal on Minoritenplatz was added later by Johann Lucas von Hildebrandt. Other artists involved in the construction of the palace included stuccateur Santino Bussi, sculptor Giovanni Giuliani and the painters Andrea Lanzani and Antonio Bellucci. As you can probably already guess by the names, Prince Johann Adam I had a great love for Italian artists. The Prince decided that the newly purchased Stadtpalais was to become his and his immediate family's main residence and as such, it had to contain both residential areas as well as all the necessary rooms for the prince’s household. In addition, he needed enough space to accommodate his already rather large art collection. Starting in 1705, various paintings and other pieces of art were displayed on the second floor. While the first floor meanwhile contained the state rooms and apartments, the kitchens, bakery and servants’ quarters were located in the basement and on the ground floor. One of the Stadtpalais' most famous features was and still is a monumental Baroque stairway giving entrance to the two upper floors. The staircase included sculptures by Giuliani and stuccowork by Bussi. Unfortunately destroyed during World War II, it was rebuilt during the most recent renovations of the palace that is generally considered to be Vienna's first major Baroque building. 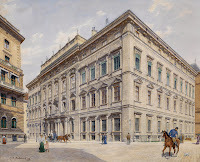 Around 1790, Prince Alois I, however, decided to move his family back to the Liechtenstein's former main residence, or Majoratshaus in German, that was located in the Herrengasse and later demolished in 1912. 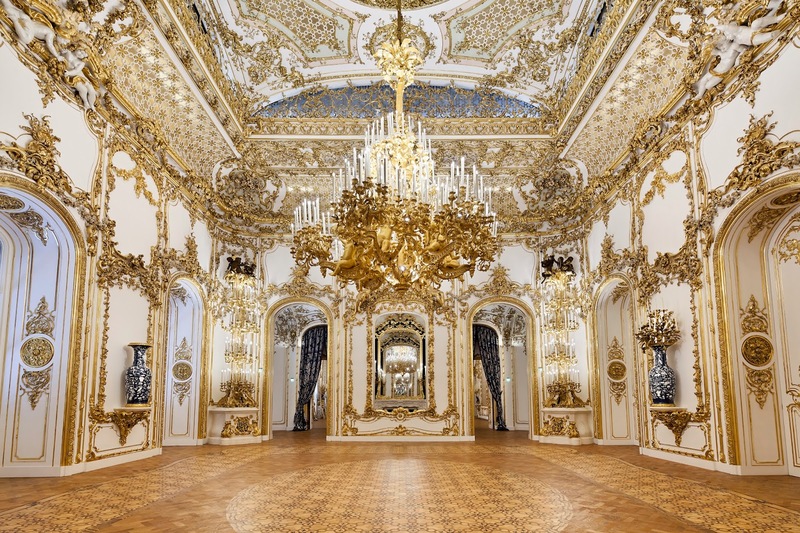 Between 1807 and 1810 the paintings gallery of the Stadtpalais was transferred to the Gartenpalais together with oil paintings by Bellucci, which had previously adorned the two upper floors of the Stadtpalais and were subsequently integrated into the ceilings of the garden palace. During the same period of time, the palace was rented out to Archduke Johann and Archduke Ludwig, two of the sons of Emperor Leopold II, and later the Russian embassy found its home in the Stadtpalais. Prince Alois II decided that he wanted to use the Stadtpalais for himself again and, between 1836 and 1847, had it remodelled in Rococo Revival style. The plans had been drawn up by Peter Hubert Desvignes and executed by craftsmen Carl Leistler and Michael Thonet. Together they created one of the earliest and most important Rococo Revival interior furnishings in the whole of Vienna. 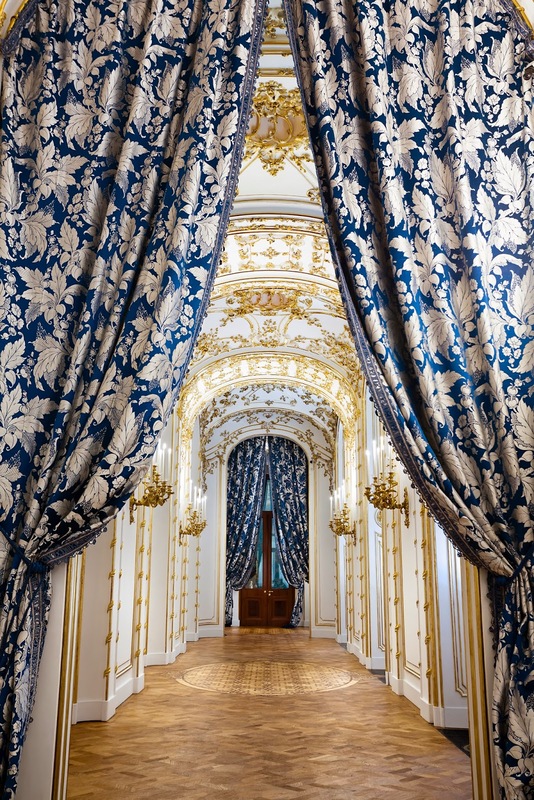 The major constraint for Desvignes was to neither change the basic architectural room arrangement nor the Baroque decorative elements which he thus had to incorporate into the Second Rococo refurbishments. One of the most prominent features of the renovations are inlaid parquet floors made of different types of wood, which were steam-bent and glued into the designs. The palace, however, wasn't only famous for its artistic side but also for its various technical refinements during the 19th century: an elevator over four floors, internal intercom with correspondence tubes made from rubber and silk with ivory mouthpieces as well as hot air heating with outlet vents cleverly integrated into the wall paneling. In addition, it was possible to open and close all the windows on one of the street façades simultaneously by means of a spring-loaded mechanism. Certain internal doors, which were mirrored on one side, could be raised and reversed to both make the room appear bigger or to actually make it bigger. Due to the lengthiness of the renovations, the vernacular started to call the palace "Künstlerversorgungheim", which would translate to something like 'artists care facility', as it employed several artists and craftsmen for more than ten years and beyond that as the facilities had to be kept updated and were prone to breaking down. Some sources say that the renovations cost Prince Alois II around four million gulden which would be around 120 million euros today and the talk of the Empire back then. The opening ball on February 16, 1848 was a major social event and Princess Nora Fugger described the Stadtpalais as having no equal in the whole of Europe when it came to beauty and magnificence. In 1938 after the Anschluss of Austria into Nazi-Germany, the Princely Family moved their main residence from Vienna and their other estates in the former Austro-Hungarian Empire to the Principality. They also managed to bring their extensive art collection with them. In the final days of the Second World War the Stadtpalais as well as the whole of Vienna suffered extensive damage during bombing raids. In addition, an aircraft crashed into the roof of the palace and the ceiling of the stairway on the second floor was completely destroyed. There was also considerable damage to the adjacent state rooms. In the years immediately following the war, work was carried out to secure the fabric and repair the worst damages, but due to the financial losses sustained by the family as a result of and after the war, the palace was not restored until the mid-1970's and even then it was done on a smaller scale. The Stadtpalais was later rented out to the Austrian Ministry of Foreign Affairs which didn't do anything for the preservation as they added fake walls and raised floors without paying attention where they fixed them. After the Gartenpalais had been extensively renovated and restored during the early 2000's, renovation works on the Stadtpalais started in 2009 and took four years to be finished. Prior to the beginning, it was estimated that the renovations would cost around 80 million euros but in the end it turned out to be about 100 million which were solely paid for by the Princely Family. No matter what you otherwise think about the family, you simply have to admire the effort and money they put into preserving their palaces for future generations. To view a video of Prince Hans-Adam and Princess Marie touring the princely construction site, have a look here. During the renovations, an eighteen metre deep three-storey art depot was created beneath the inner courtyard which now houses major parts of the Princely Collections. In addition, a steel skeleton was added as support for the building. The entire palace is up to the newest technological standards and now fully air-conditioned, barrier-free and some 1200 especially designed LED lights replaced the historic candlelights. Not surprisingly due to the the invaluable art collection stored at the palace, it also features highest security standards. The restauration laid emphasis on the use of authentic materials and original building techniques. Instead of applying new gilts, the old ones were extensively cleaned and new gold leafs (around 150,000 of them) were only added on newly decorated parts. On average, there were 200 to 250 people on the site each day – at peak times it was as much as 500. It took 54,000 hours alone to restore the gildings. To reconstruct the old silk wall coverings exactly like they were before, a weaving loom like it was used 170 years ago was built. Thanks to the effort, the restorers managed to return the interior and exterior walls of the palace to their original condition. To see pictures of the process and the Stadtpalais in general, have a look here. These days, the Stadtpalais houses private living quarters for the Princely Family as well as offices for both the LGT Bank and the Prince of Liechtenstein Foundation (which both have to pay rent). In addition it is open to the public twice a month though you have to book the tour in advance. If you have a little more money lying around and would like to get a more exclusive look, you can also rent it for your own festivities though you are not allowed to touch the walls, put your glass down on the windowsill and the floor will be covered as it is much too expensive to be damaged by high heels. The Habsburg Fringe Tiara seems to be the only major tiara left in the Princely vaults from the days of the Austro-Hungarian Empire. After already losing numerous estates after the end of the First World War, the Princely Family was dispossessed of about 80% of their assets after World War 2 and many of those that remained in the hands of the family were rather poorly managed. Not surprisingly, the Family hit some financial straits in the following years which continued into the early 1970's when their assets were restructured by Prince Hans-Adam II, started to grow again and now make them one of the richest reigning families out there. To bypass their financial struggle, the Family sold various pieces of their art collection and you'd very likely sell a tiara before Leonardo da Vinci's Ginevra de' Benci and other artworks of similar calibre cause you can always buy a tiara later on though da Vincis might just be a little harder to come by. Taking the last bit about always being able to purchase a tiara quite literally was Prince Hans-Adam at some point in his life when he purchased today's sparkler for his wife. All we know is that this tiara was seen for the first time publicly adorning Princess Marie's head at the pre-wedding ball of her eldest son at Munich's Schloss Nymphenburg in 1993. Luckily, there wasn't just any tiara up for grabs but one that showcases the long and intertwined history of both of their families. Of Bohemian ancestry, the Kinsky family was elevated to the rank of counts under the Habsburg rule in the 17th century. In 1747, a branch of the family was elevated to princes of the Holy Roman Empire by Empress Maria Theresa. While the head of the family is a Fürst (the Prince), the other family members bear the titles of counts and countesses. Made out of diamonds set in a gold and silver palmette or honeysuckle motif, the tiara was likely made in the 1870's and can be converted into a necklace. It is believed to have been a present of Prince Ferdinand Bonaventura Kinsky of Wchinitz und Tettau (1834-1904) to his wife née Princess Marie of Liechtenstein (1835-1905) who weren't even the first (or the last) Liechtenstein-Kinsky couple to tie the knot. Already in 1761, Princess Maria Christina of Liechtenstein had married Count Franz Ferdinand Kinsky of Wchinitz and Tettau and in 1831, Prince Alois II of Liechtenstein (1796-1858) married Countess Franziska Kinsky of Wchinitz und Tettau. In addition the late Princess Gina's mother was also a born Countess Kinsky so the connections between the two families are indeed numerous. The original giver of this tiara, Prince Ferdinand Bonaventura Kinsky of Wchinitz and Tettau, and his wife are both the great-grandparents of the current Princess Marie of Liechtenstein and the great-great-grandparents of the current head of the Kinsky family, Prince Karl. For many decades, the tiara descended through the senior line of the Kinsky family and was most notable worn by Princess Mathilde, the current head's grandmother. Some say that the main branch of the Kinskys hit some financial straits during the late 1980's or early 1990's but whatever the exact reason, they decided to sell this tiara and it was purchased by the Princely Family. Whether it was done directly or via the detour of an auction remains unclear though the close-up picture of the tiara which you can see above was made by Sotheby's - you can draw your own (non-) conclusions from that. To cut a long story short: Prince Ferdinand Bonaventura Kinsky gave this tiara to his Liechtenstein wife and it descended through the Kinsky family until Prince Hans-Adam II of Liechtenstein gave it to his Kinsky wife. As mentioned before, Princess Marie firstly (and for the only time, at least publicly it seems) wore the tiara for her oldest son's pre-wedding ball. 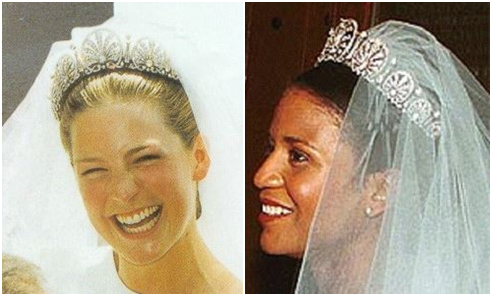 Her only daughter, Princess Tatjana, chose to wear the honeysuckle tiara for her wedding day in 1999, as did Princess Angela, wife of Princess Marie's second son, in 2000. The tiara got its fourth outing since coming into the Prinely Family during the wedding ball of Duchess Elizabeth in Bavaria when it was worn by the bride's oldest sister, Hereditary Princess Sophie. 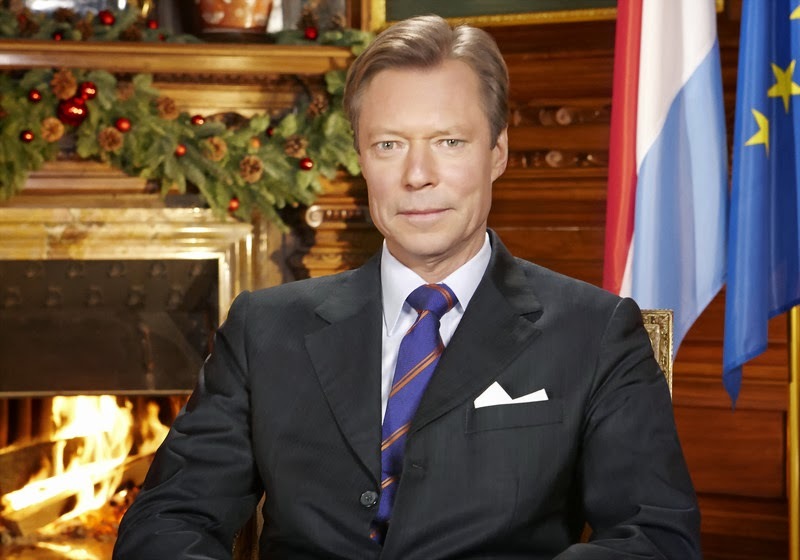 Last night the Grand Duke's traditional Christmas speech was delivered right into his subjects living rooms - or wherever their TVs are situated - when it was broadcasted by RTL. In case you'd like to watch it, it's best to have a look at Wort whose servicey journalists have even come up with English subtitles. In his speech, Grand Duke Henri looked back on fading 2013 and ahead at the challenges that Luxembourg and its citizens will face in the coming year. In relation to his family, the Grand Duke thanked Luxembourgers for their kind wishes in relation to this year's wedding of Prince Félix and Princess Claire and wished them a very Merry Christmas and a Happy New Year "in the name of the Grand Duchess, Grand Duke Jean, Prince Guillaume and Princess Stéphanie as well as the whole family". Humble me can only agree with the Grand Duke and wish you the very same; I hope you all had lovely holidays and all the best for the coming year! Meanwhile, the New Year came a little early in the Principality this year as 1 FL TV broadcasted a New Year's interview with Hereditary Prince Alois a day before Christmas Eve. During the 40 minutes long interview the Hereditary Prince talks about the past year and the political and financial challenges lying ahead for Liechtenstein. In addition, he gave another interview to a new economic journal entitled 'Who's Who' in which Hereditary Prince Alois talks all kinds of economic and financial stuff, and if those aren't enough interview for you, Radio Liechtenstein will broadcast yet another New Year's interview with the Prince Hans-Adam II on January 1. On Friday, the International Peace Light arrived in Liechtenstein and the country's scouts brought it to the people, among them the Princely Family. A group of scouts was welcomed at the chapel of Schloss Vaduz by Hereditary Prince Alois. Now in its 27th year, the Peace Light from Bethlehem campaign was originally organised by the Austrian Broadcasting Company (ORF) and was part of a large charitable relief mission for children in need in Austria and abroad called Light into Darkness. Since then it has greatly expanded and the light is now travelling from Bethlehem, where it is lit by an Austrian child in the Natavity Grotto, to more than 30 countries each year. Already last week, Princess Marie welcomed the ladies of the association 5 Weiber at the Schloss to receive a donation for the children's home in Gamander which is operated by the Liechtenstein Red Cross that the Princess is the president of. The (despite their name) six ladies have been busy knitting this year and sold their self-made beanies at the Christmas market in Vaduz with all of their profits, 23,700 Swiss franc to be exact, going to the children's home. To see a picture, check out their Facebook page. 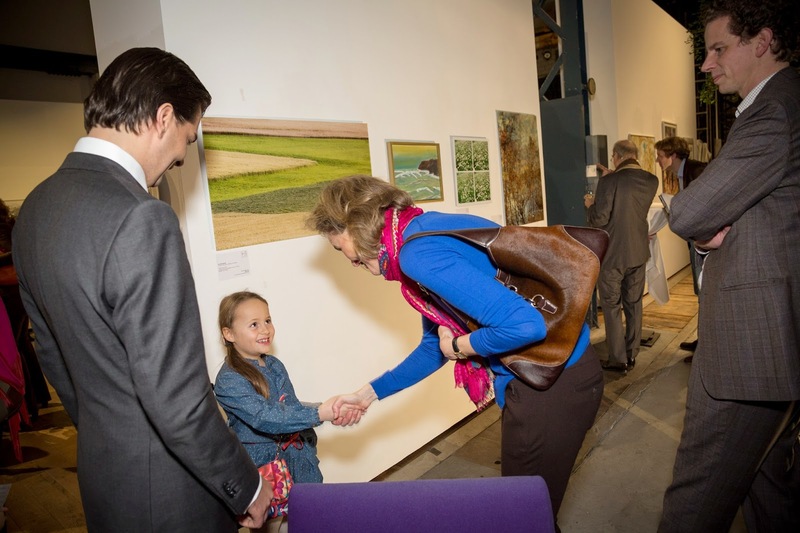 Earlier this month, on December 4th to be exact, Hereditary Princess Sophie attended the charitable auction Art for Children in Zürich, Switzerland. The Hereditary Princess is the patron of the event by the organisation We Help You which raises money for disadvantaged children. This year's donations will go to the nephrology of the children's hospital in Zürich as well as to Kids Kidney Care. Other nobles involved in the charitable organisation which organises the auction are Prince Heinrich of Orsini-Rosenberg and Count Conrad of Salm-Reifferscheidt. More visuals of the event can be found on the website of We Help You. Fresh off their trip to China, Hereditary Grand Duke Guillaume and Hereditary Grand Duchess Stéphanie were out and about in Luxembourg, the city that is, today. The visit was part of their tour of the Grand Duchy's fifteen Centres de Développement et d'Attraction (CDA) that already led them to Mersch, Vianden, Echternach, Redange, Dudelange, Esch-sur-Alzette and Clervaux during the course of this year. At about half past one, the Hereditary Grand Duke and the Hereditary Grand Duchess walked the short way from the palais to the town hall in Place Guillaume II where they were welcomed by the again mayor Lydie Polfer. She first became mayor of the city in 1981 at the age of 29 and served until 1999. After Xavier Bettel became prime minister earlier this month, Madame Polfer was sworn in as Luxembourg's new mayor on the 17th of this month. At the town hall both Hereditary Grand Duke Guillaume and Hereditary Grand Duchess Stéphanie signed the golden book. Afterwards they visited the Refuge Péitrusshaus, a shelter for minors. Founded by the Solidarité Jeunes and opened last year, the shelter offers help to teenagers between the ages of 12 and 18 in crisis situations. The organisation works 24 hours, seven days a week, 365 days a year and is equipped with 12 beds where the teenagers can unbureaucratically stay for up to five days. The Refuge Péitrusshaus also offers counselling. 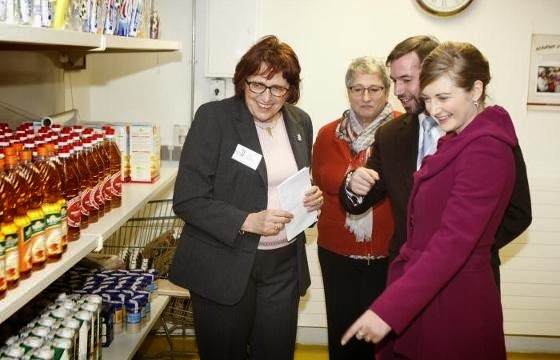 The Hereditary Grand Duke and the Hereditary Grand Duchess subsequently made their way to Beggen, a quarter in the northern part of the city, where they visited the Cent Buttek, a low-cost grocery store. The products of the shop are donated by bakeries, supermarkets, small shops and businesses and redistributed to people in financial needs who pay according to their own means. 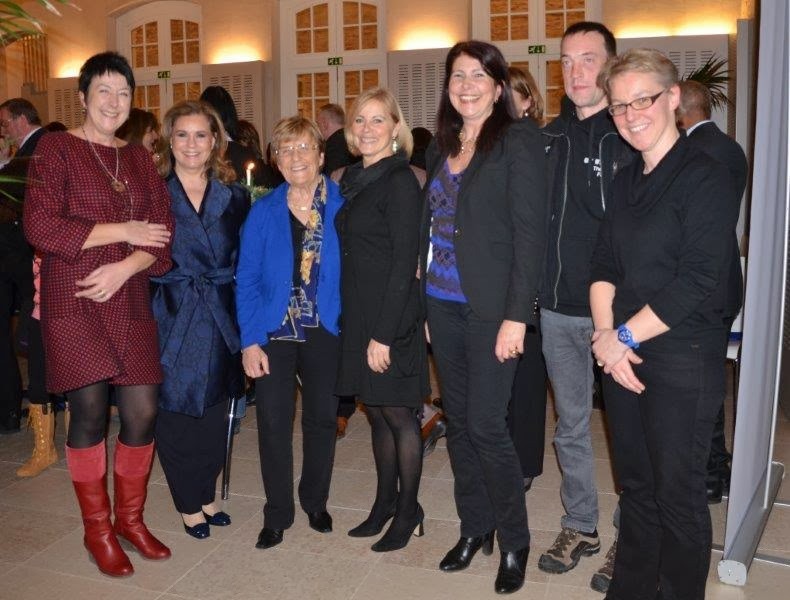 Their tour continued with a reception hosted at the Grand Théâtre de la Ville de Luxembourg in honour of volunteers working for all kinds of charitable humanitarian organisations in the Grand Duchy. 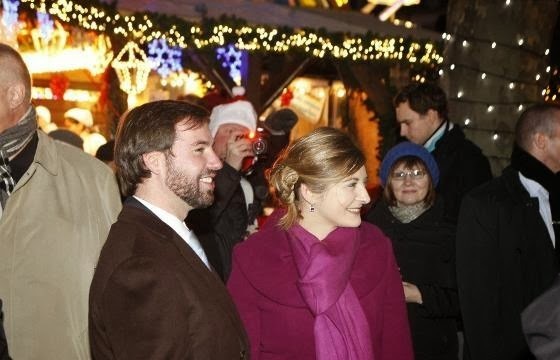 To round off their visit to the city of Luxembourg, Hereditary Grand Duke Guillaume and Hereditary Grand Duchess Stéphanie then visited the Christmas market at Place de la Constitution around one of Luxembourg's most famous landmarks, the Gëlle Fra. My guess is that this was the Hereditary Grand Ducal Couple's last engagement of the year. Guillaume and Stéphanie will be spending Christmas Eve with the Grand Ducal Family in Luxembourg and then make their way to Belgium on the 25th to spend time with the Lannoy family. Pictures of the day are available at Wort in German, Wort in French, Wort in Portuguese, Wort in English, L'essentiel, Tageblatt, Manuel Dias and the website of the cour. RTL has a video which includes an interview with the Hereditary Grand Duke. For those interested, the Hereditary Grand Duchess wore a repeated Diane von Fürstenberg dress and the same earrings that she wore on the day of her civil wedding for the event at the Grand Théâtre. If the Grand Ducal Family doesn't own multiple sets of the same earring, they have also been worn by Grand Duchess Maria-Teresa and Princess Alexandra since. An article by Svensk Damtidning about the recent baptism of little Archduchess Maria-Stella has pointed me into the direction of videos on the magazine's Youtube page that I hadn't noticed before. 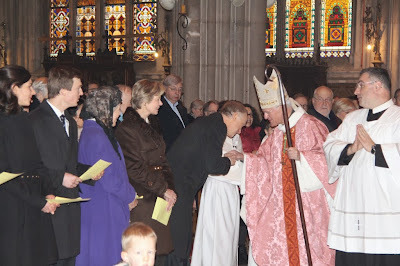 The videos were filmed on the day of the religious wedding of Prince Félix and Princess Claire back in September and show many guests leaving the church. As they feature rarely seen regulars of our blog as well as previously unknown guests, I thought I'd share them. I have also updated our guest list of the event with the new faces. Cutting to the chase, the first ones to leave the church in this video are Archduke Imre and Archduchess Kathleen, followed by Lord and Lady Nicholas Windsor, Archduke Christoph and Archduchess Adélaïde, Archduke Alexander as well as Archduchess Gabriella of Austria. Princess Maria-Anunciata and Princess Marie-Astrid of Liechtenstein are next with an unknown (to me) couple behind them. After a small gap, you can see Count Riprand of Arco-Zinneberg with his wife Archduchess Maria-Beatrice of Austria-Este and two of their daughters. Next are Hélène Vestur, first wife of Prince Jean, and her oldest son, Prince Constantin, followed by Archduke Michael and Archduchess Maria-Christiana of the Hungarian Palatine branch of the Habsburg family. The last ones in this video are Pierre Casiraghi and Beatrice Borromeo with some other guy as well as Prince Josef of Liechtenstein and his cousin Princess Marie-Gabrielle of Nassau together with sisters Princess Tatiana and Princess Alexandra Galitzine, daughters of Archduchess Maria-Anna of Austria. This second video offers another glance at the some of the people already seen in the first video, namely Prince Josef, Priness Marie-Gabrielle, the Galitzine sisters and the most photographed guests of the wedding, Pierre Casiraghi and Beatrice Borromeo. Among the others I spy Princess Sophie of Hohenberg (with the blue fascinator), niece of Grand Duke Jean, and her husband Baron Jean-Louis de Potesta as well as the Nassau princes Paul-Louis, Carl and Wenceslas together with Katarina, Victoria and Natalia Esteve, daughters of Grand Duchess Maria-Teresa's sister Catalina. After a tiny glimpse of Prince Ioann Galitzine and his sister Princess Maria at the very beginning of this video, you can see Prince Wenzeslaus, Prince Rudolf and Princess Tılsım of Liechtenstein leaving the church. 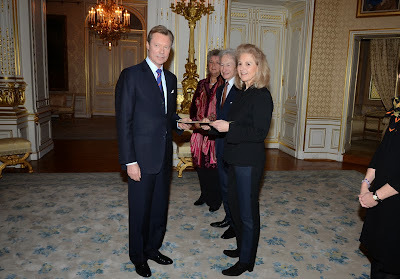 Next up a pair of friends of Prince Félix followed Princess Tatiana Radziwiłł and her husband Jean Fruchaud, as well as Prince Amedeo, Prince Joachim and Princess Maria-Laura of Belgium, the three eldest children of Princess Astrid and Prince Lorenz. They are followed by Archduke Carl-Christian, oldest son of Archduke Rudolf and named for the more familiar Carl-Christian around here, and his wife Archduchess Estelle, as well as Archduchess Priscilla together with Prince Peter of Lobkowicz. The video then cuts off and I'm only venturing into speculation now as the faces are hardly recognisable but the guy on the right of the following group does look like Prince Charles-Adrien de Mérode. Judging by the dress she is wearing and that I think I have seen her wearing the same one in another picture of the wedding, the lady next to him might be Princess Hedwig of Liechtenstein. If it is her, the guy next to her might be her husband, Olivier de Quelen. This last video includes a mixture of both known and unknown faces. Among the group of people in the beginning, I spy Prince Lelio and Princess Luisa Orsini d'Aragona and I'm fairly certain that they are also accompanied by their sister Princess Dorothea as well as Luna de Medina, daughter of Princess Maria da Gloria de Orléans e Bragança and her second husband, Ignacio de Medina y Fernández de Córdoba. They are followed by Princess Marguerite de Mérode (in yellow) and her now husband Count Philippe d'Oultremont. Among the last group of people in the video I spy Mexican actor Eduardo Verástegui and possibly Prince Felix of Mérode. You can watch the entire wedding minus the arrival and departure of most of the guests here. 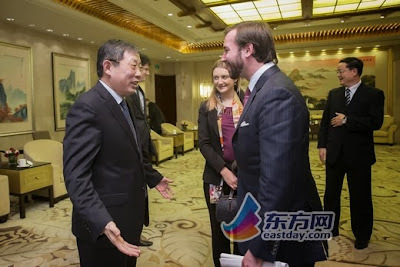 Just when I had worked the magic of copying Chinese characters into Google and managed to find yet another picture of the Hereditary Grand Duke and the Hereditary Grand Duchess, I was delighted that find that Wort finally has pictures of this week's economic mission. Check out the German, French and English versions, as always the pictures slightly vary. The website of the cour has some of the pictures in higher quality and it looks like L'essentiel has published all pictures available, at least they have a gallery of 45 visuals. To give you a rundown: the Luxembourgish delegation started off in Beijing on Monday, before travelling to Shanghai on Tuesday. They then made their way to Hangzhou, 200 kilometers southwest of Shanghai, and finally to Wuxi City, 200 kilometers northwest of Shanghai, where "the Grand Duchy of Luxembourg Grand Duke Guillaume of Luxembourg government and the Reserve couple rate tin trade delegation visit to attend the Luxembourg Chamber of Commerce in the city's 'Luxembourg: gateway to Europe' economic and trade exchanges, and witness Wuxi - Luxembourg Comprehensive Economic and Trade Cooperation Strategy signed a memorandum of understanding" or so Google translate tells me. In the most boring news there are for any royal blog ever, there were ambassador accreditations going on in Liechtenstein today as Cesar Osvelio Mendez Gonzalez of Bolivia, Thomas Hauff of the United Kingdom and Bader Saleh Al Tunaib of Kuwait presented their letters of credence to Hereditary Prince Alois. 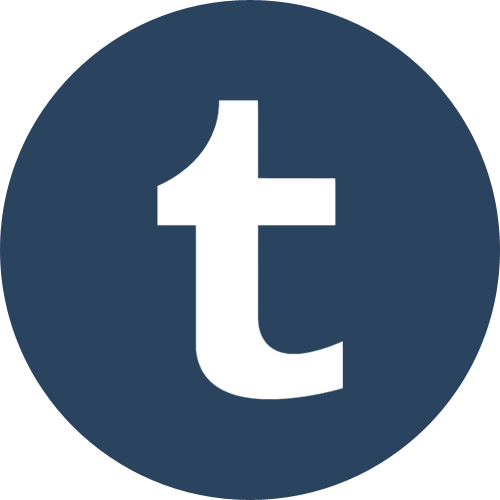 Behind the scenes we are constantly talking on how to improve our small but beautiful, at least that's what we like to think, blog and so we have decided to introduce a new feature, a list of book recommendations. 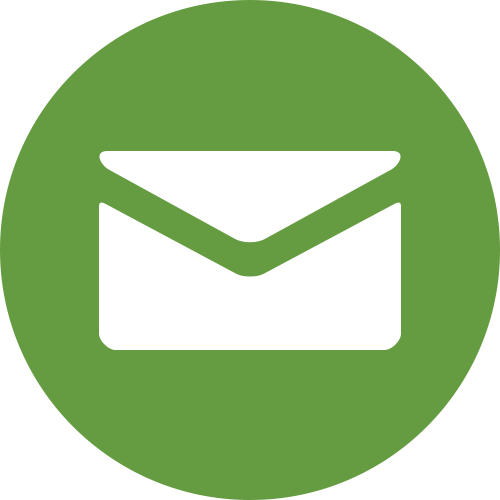 Every once in a while, we are asked where the information for our different, more in-depths articles are taken from or where you can find more information about a certain topic; from now on you can have a look at the list to get your answer. Thus far, the list mainly consists of books about the Grand Ducal Family due to both our longer standing interested in the Luxembourgish royals but also due to supply. The list also only includes books that one or more bloggers of Luxarazzi have read but we in the coming weeks, months and maybe years, we will work to expand the list and might even include books that we haven't gotten our hands on yet. 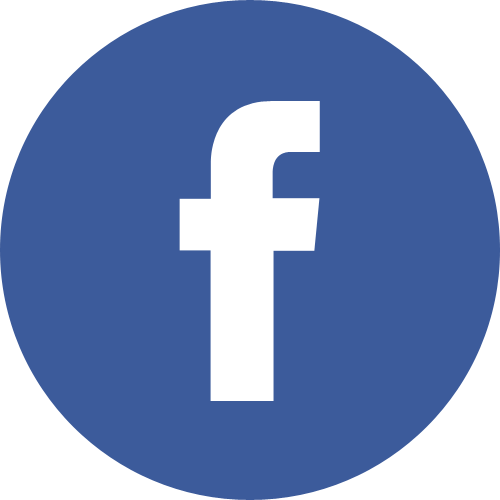 If you have any additional questions, feel free to contact us in person via the social media buttons on the right. This morning, Grand Duke Henri received Mars di Bartolomeo, the new president of the Chambre des Députés, at the palais for an audience. 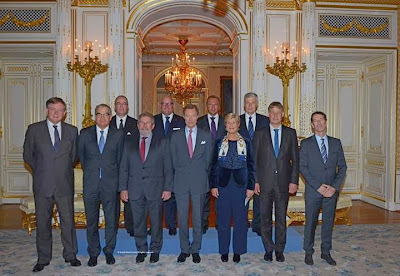 Shortly afterwards, the two gentlemen were joined by most of the other members of the Bureau of Luxembourg's recently elected parliament. Together with Grand Duchess Maria Teresa, the Grand Duke then hosted a reception to mark the formation of new parliament. The website of the Chambre has another tiny picture of the Grand Duke and Mars di Bartolomeo and the website of the cour has an entire gallery of visuals. As it turns out, I was on the right track when it came to the Christmas visits conducted by Princess Marie and Hereditary Princess Sophie this week. 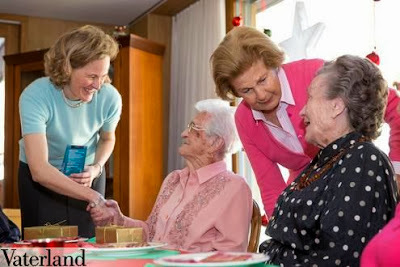 I'm a bit shaky on the timeline and when they were where but the two ladies visited all of Liechtenstein's homes for the elderly and nursing homes as well as the local hospital. As it is tradition, the brought along little presents from the Princely Family for everyone. Visuals of the visits are located at Vaterland. Economic missions to China have always been some of my least favourite as they always had a rather low turnout of information and visuals and this time is no different; we might have even hit a new low. Maybe it's my inability to properly work my good old friend google with Chinese characters but apart from that one picture I mentioned yesterday, there only seems to be one other tiny one on the website of the Ministre de l'Économie. I guess we will need to count on the official website to grace us with a few visuals sometime during the next days or weeks. While Hereditary Grand Duke Guillaume and Hereditary Grand Duchess Stéphanie are still whiling news-less in China, Grand Duke Henri and Grand Duchess Maria Teresa as well as Prince Louis and Princess Tessy joined a Christmas luncheon hosted by Stëmm vun der Strooss (Voice of the Street) today. The humanitarian organisation has organised the luncheon for the homeless and poor, asylum seekers, ex-prisoners, drug addicts, people suffering from mental illnesses and other people who are socially vulnerable and might not have anybody to spend Christmas with since 1966. It's interesting to note that the members of the Grand Ducal Family weren't invited for the event but instead asked Stëmm vun der Strooss whether they could come and join. Other guests at the luncheon attended by about 350 socially vulnerable people included the president of the Chamber of Deputies, Mars di Bartolomeo, health minister Lydia Mutsch and Luxembourg's new (and old) mayor Lydie Polfer. During the course of the lunch, the homeless and otherwise disadvantaged people also received gift bags with clothes. It's nice to see the Grand Ducal Family being involved with such a worthy cause, we often tend to forget that poverty is right there in front of our doorstep and sadly an all too common occurence even in Western society. Also nice to see that Prince Louis and Princess Tessy seem to have gotten more and more involved in Luxembourg over the last year or so instead of only popping up for the major events. Pictures can be found at Tageblatt, Wort in German, Wort in French, Wort in English, on the website of the cour and at RTL who also have a video. 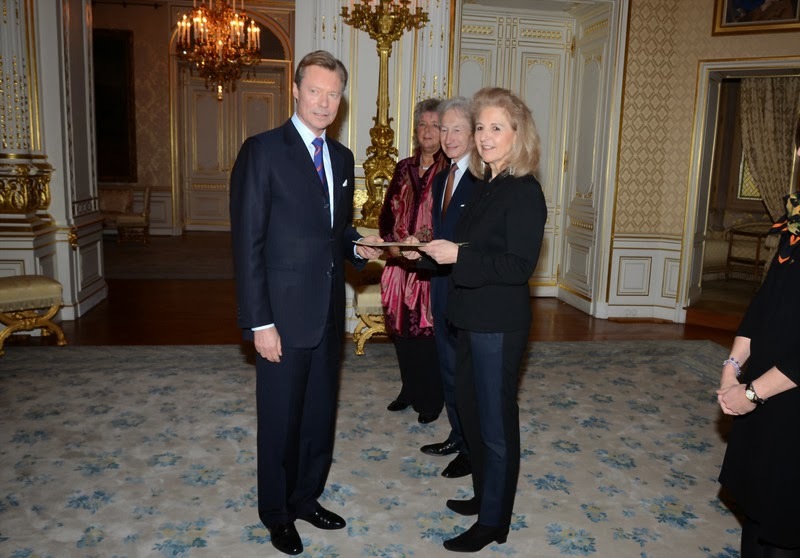 Grand Duke Henri handed out the Prix Grand-Duc Adolphe earlier today. Since its creation in 1902 it is awarded to an artist who exhibits at the Salon Artistique of the Cercle artistique de Luxembourg. Easily noticeable, the award was named for and created by the former Grand Duke Adolph, the great-great grandfather of the current Grand Duke, on the initiative of his wife Grand Duchess Adelheid-Marie, an avid painter herself. The year's hopefully happy winner is Carine Kraus. The Grand Duchess, who is the award's patron, was also supposed to attend according to the agenda of the cour but she doesn't seem to have been there as she is neither visible in the pictures nor is she mentioned in any article about the event. 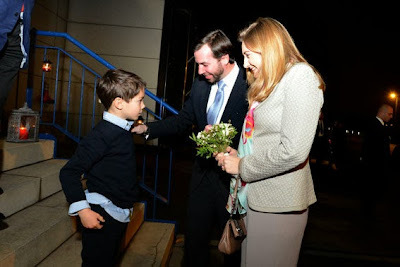 It has happened before that Grand Duchess Maria Teresa has pulled out of events on rather short notice but nevertheless I hope that there isn't any serious reason behind it. Check out the website of the cour for more visuals of the event which took place at the palais. Wort also has articles about it in German and French. 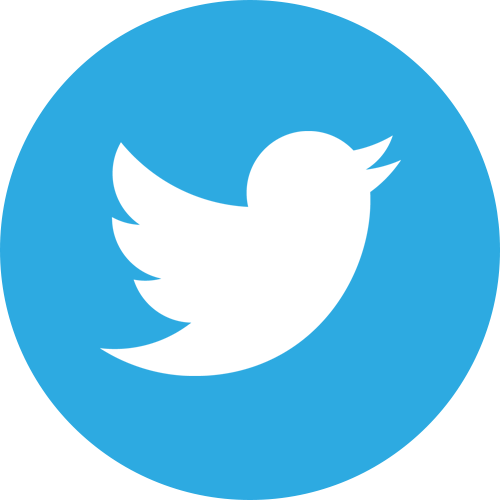 A while go, [Insert here the usual apology for the delay of posting news about members of the extended Grand Ducal and Princely Families but there are only so many hours in the day that we can spend searching for them and the world wide web is freaking big.] Princess Tılsım of Liechtenstein who is the Turkish-born wife of Prince Rudolf, the youngest son of our more regular players Prince Philipp and Princess Isabelle, went shopping for a cause at Donna Karan's Madison Avenue Boutique in New York City. The profits of the event on November 12 went to the DiMenna Children's History Museum which is located inside the New York Historical Society Museum and Library. Check here for two tiny pictures of the shopping princess and if you're still not sure who I just talked about, I'll point you in the direction of our Who's Who section which is always your friend in such cases. Turns out that Princess Marie and Hereditary Princess Sophie not only visited the retirement home St. Theodul this week but also paid visits to the residential care facilities for the elderly in Triesen and Balzers. 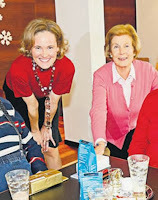 After first stopping by at the St. Mamertus home in Triesen to have coffee and cookies with the inhabitants, they later went to the Schlossgarten home in Balzers to have a few more. As I'm not entirely sure how many retirement homes the Principality has, it is entirely possible that the princely duo also paid a few more visits but that they weren't covered by the media. While yesterday I could give you a rundown of what Hereditary Grand Duke Guillaume and Hereditary Grand Duchess Stéphanie did in China on Monday but no visuals, it is the other way round today. I know that the official delegation was supposed to travel from Beijing to Shanghai where they were joined by a business delegation yesterday. In Shanghai, the official delegation was scheduled to hold talks with local authorities on the development of economic and trade relations. The agenda also included a presentation of the free trade zone of Shanghai officially launched in October 2013 and that's about it information-wise. Today Hereditary Grand Duke Guillaume and Hereditary Grand Duchess Stéphanie are in Hangzhou, 200 kilometers southwest of Shanghai, and tomorrow they will travel to Wuxi City, 200 kilometers northwest of Shanghai. 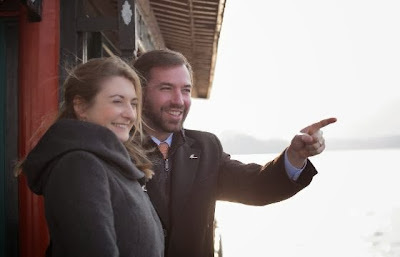 Yesterday was the first day of the economic mission that Hereditary Grand Duke Guillaume and Hereditary Grand Duchess Stéphanie are currently accompanying to China. Their first stop on the five-day tour of China was Beijing. While we are still flying pictureless thus far, I can already tell you what they did on their first day. Together with the official delegation also including Luxembourg's Minister of the Economy and Foreign Trade, Etienne Schneider, and Secretary of State for the Economy, Francine Closener, the couple were received by the Chinese Minister of Commerce, Gao Hucheng. They also met with Zhou Xiaochuan, president of the Chinese central bank (People's Bank of China), and Xiao Gang, who is the chairman of Chinese financial market regulator (CSRC). The main purpose of this week's economic mission is to look for new business opportunities and the strengthening of economic, financial and trade relations between the Grand Duchy and the People's Republic of China. The mission also aims to promote Luxembourg to become the first international centre in Europe for the Chinese currency Renmimbi (RMB). Later in the day, the Hereditary Grand Duke and the Hereditary Grand Duchess as well as further officials also took part in the inauguration of a new technical center for research and development (R&D) of IEE, a world leading innovative developer of specialized sensing systems. In addition, they also attended the opening of new offices of Paul Wurth S.A., a company that already delivered goods for the steel industry to China in 1911. During the course of the visit Hereditary Grand Duke Guillaume gave a speech during which he talked about the two countries' long-standing economical ties and stressed the importance of the steel industry for the economic development of the Grand Duchy. From now on the Princely Family can puzzle their own Schloss and cut their bread with a knife in the form of their country's mountain peaks, and I'm not kidding. On December 3, Hereditary Prince Alois welcomed Stefan Roggatz and Patrick Greuter of the Exordium Media & Consult AG at Schloss Vaduz where the two gifted him with a few Liechtenstein memorabilia, a puzzle of the Princely Family's main residence as well as a knife featuring the mountain panorama of Liechtenstein. 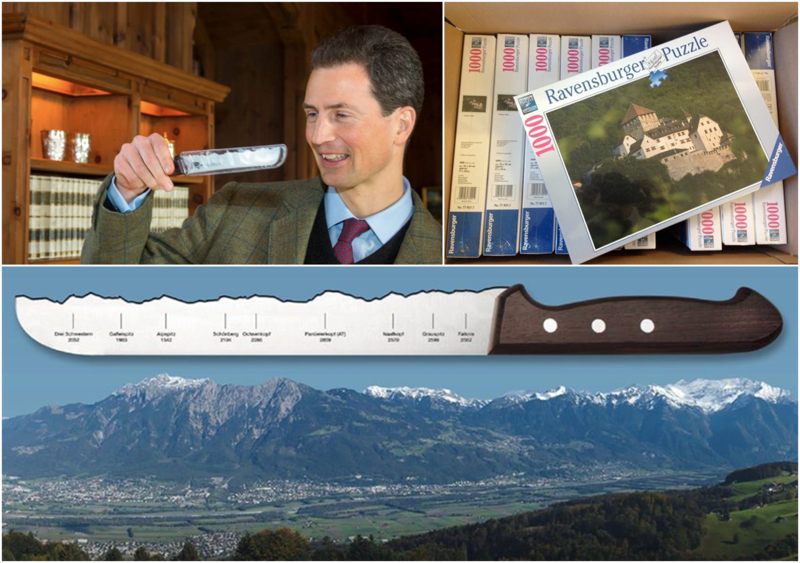 The Hereditary Prince seemed especially enchanted with the latter one and so am I, who knew something like panorama knives existed!? More pictures are available via Facebook. One of the events of the Princely Family that I have always liked (and actually knew before I got more interested in them) is their tradition of paying visits to some of the country's social institutions in the week or two before Christmas. 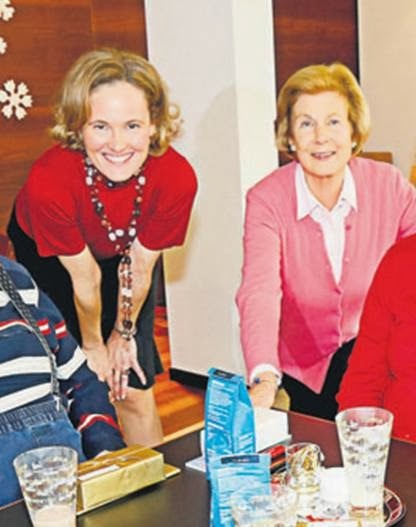 After Princess Marie had already visited the hospital in Vaduz on Friday, it was time for her and her daughter-in-law Hereditary Princess Sophie today to pay a visit to the residential care facility for the elderly "St. Theodul" in Triesenberg. During the visit the two princesses happily chatted with the senior citizens and also brought little presents for them. Or so speculate German Bunte and Swedish Svenskdam while I'm inclined to agree with Wort's Marc Thill, would the Hereditary Grand Duchess really be accompanying an economic mission to China this week if she was indeed pregnant? Bunte seems to at least partly base their story on Stéphanie's lose fitting clothes and love for scarves but if that would be any indication we would have one of the longest royal pregnancies in history on our hands because that love actually predates her wedding day and seems to grow stronger by the day... However, rumours are nothing new as I recall speculations by Hola around the time of the Games of the Small States of Europe earlier this year based on, you guessed it, lose fitting clothes and scarves. In actual news, Princess Nora attended the sportsman of the year award in Liechtenstein. While handcyclist Walter Eberle won the award in the male category, alpine ski racer and winner of yesterday's Super G in St. Moritz Tina Weirather became the sportswoman of the year. The team award went to the the Principality's Fed Cup team. Volksblatt has a gallery of visuals of the night and 1 FL TV has a video (starting at 5:36). In addition, Grand Duke Henri received the new ambassador of Mongolia on December 11. During the audience, Mr Khishigdelger Davaadorj presented his letter of credence to the Grand Duke and the two discussed bileteral relations and cooperation between their countries. These two we usually only get to see at weddings and funerals so it was all the more nicer to see Archduke Alexander and Archduchess Gabriella out and about in Brussels this week. The two youngest children of Princess Marie-Astrid and Archduke Carl-Christian attended a gala dinner celebrating the 400th anniversary of the House of Romanov. In 1613 Mikhail Fyodorovich Romanov had ascended to the Russian throne ending what is generally known as the "Time of Troubles" and this year there have been a bunch of celebrations marking the anniversary of the event. The gala dinner attended by the dapper looking Alexander and his pretty younger sister took place at the Palais d'Egmont in the Belgian capital. The benefits of the dinner will go to The Russian Imperial Foundation for Cancer Research. The awesome people of Place Royale have a video of the event that was also attended by Grand Duke Georgi (naturally) as well as Prince Laurent, Princess Claire and Princess Léa of Belgium. Archduke Carl-Christian and his wife Archduchess Marie-Astrid, who is the oldest daughter of Grand Duke Jean, their sons Archduke Christoph with his wife Archduchess Adélaïde and Archduke Alexander as well as Archduchess Yolande, mother of Archduke Carl-Christian, visited Nancy this weekend to present the Basilique Saint-Epvre with relics of Blessed Emperor Karl, the last ruler of the Austro-Hungarian empire who was beatified in 2004. 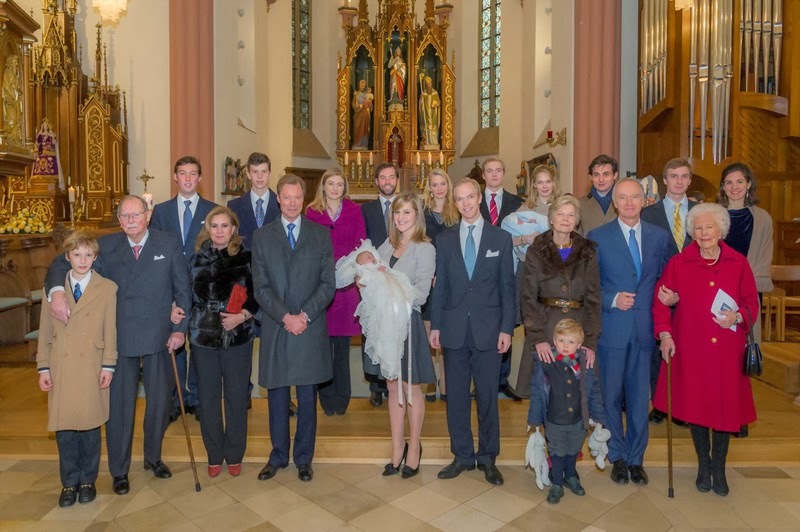 Archduke Christoph and Archduchess Adélaïde had celebrated their wedding at the same church on December 29 last year. Last night, Archduke Carl-Christian held a lecture about his grandfather Blessed Emperor Karl at the Musée Lorrain in which he talked about the emperor's life and principles and how they can act as an inspiration for the Europe of today. This morning a pontificial mass was celebrated by the Bishop of Nancy and Toul, Jean-Louis Papin, during the course of which the relics were received by the church. A few pictures of the weekend can be found on the website of Histoire & Patrimoine Bleurvillois. I'm fairly certain that I can also recognise the parents of Archduchess Adélaïde, Philippe and Odile Drapé-Frisch in the pictures. 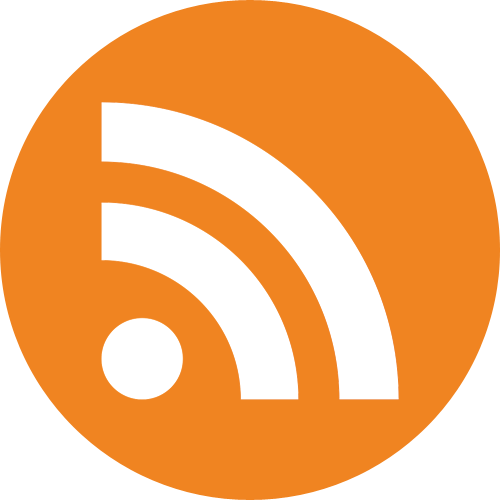 If you have a subscription to L'Est Républicain, you can also check our their articles here and here though I have not and thus I can't tell you what they say. -- Update: Archduke Carl-Christian gave an interview to France 3 Lorraine on the occasion that you can find here (at about 6:20 during the video of 14/12/2013); they also have a report about today, just skip ahead to the one minute mark of today's news. As some people do seem to have some kind of obsession when it comes to the whereabouts of another son of Archduchess Marie-Astrid and his wife... No, they weren't there. Yes, they are regular supporters of causes in relation to Blessed Emperor Karl and Empress Zita but so is the rest of the extended Habsburg-Lorraine family. It feels like I have seen about half of them attending masses for their famous relatives, some of them even give lectures. Considering how numerous the imperial family is, it could have become quite crowded in Nancy if all of them who have done so before had attended this mass. As per princely pre-Christmas tradition, Princess Marie visited the hospital in Vaduz yesterday. During the visit she talked to the patients and presented them with gifts. Together they also listened to music by two young girls from the cello class of the local musical school. Back on November 13th and once again totally missed by moi due to my inability to check their website regularly, Prince Guillaume introduced the students of the St. Willibrord boarding school in Echternach to the Mérite Jeunesse. 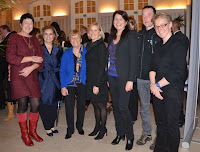 Pictures can be found on the website of the Luxembourgish branch of the Duke of Edinburgh Award. The event usually brings out an array of Danish and French (-based or -speaking, really) nobles and it actually isn't the first time that Prince Philipp took part in it. He and his wife are regular guests at events related to the French-born husband of the Danish queen. In addition, their second son Prince Wenzeslaus was among the wedding guests for the 2004 wedding of Crown Prince Frederik and Crown Princess Mary. But anyway, another royal guest I noticed was Prince Lorenz of Belgium who is also a regular attendant of the royal hunts. While the men went out hunting there was a much nicer (to me, at least) ladies' programme going on. Led by Queen Margrethe, the ladies including Princess Isabelle drove from Fredensborg Palace north of Copenhagen to Amalienborg Palace in the Danish capital to visit the local museum. They also went to Frederiksborg Palace to view the Museum of National History. In the evening they all reunited to have a grand dinner together. Well, not really 'in' but rather 'at'... Last night the Orchestre Philharmonique du Luxembourg under the direction of Juanjo Mena and supported by pianist Jan Lisiecki gave a concert to benefit the SOS Children's Villages, the world's largest orphan charity. Grand Duke Henri and Grand Duchess Maria-Teresa were among the guests and listened to Frédéric Chopin's "Piano Concerto No. 1" as well as parts of "The Three-Cornered Hat" and "La vida breve" by Manuel de Falla. The Grand Duchess has been a patron of the SOS Children's Villages since 2005. The Christmas concert to benefit the organisation given by the philharmonic orchestra has become a tradition over recent years and last year Grand Duchess Maria-Teresa was accompanied by the Hereditary Grand Duchess. This year's profits will mainly go to the charity's projects in Guinea. I'm not sure whether it was the Stéphanie-effect last year but sadly there aren't any pictures of the event thus far but as regulars of this blog you know that it isn't the most uncommon of occurences so stay tuned! 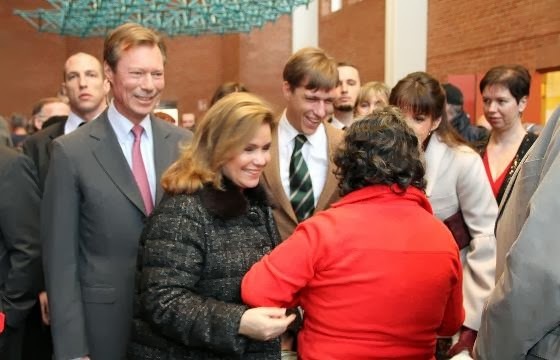 On Wednesday, Grand Duchess Maria-Teresa assisted at the 25th anniversary of the Initiativ Rëm Schaffen. Founded in 1988, the association offers people in need of a new job advice and support by giving individual guidance as well as the organisation of seminars, conferences and training. Towards the end of the event the Grand Duchess and the other guests watched a performance by cabaret group Makadammen. Two visuals of the event can be found on the website of the cour. Today, we are going to have a look at the life and familial background of Princess Sibilla. According to the accounts of different people I know who have met her, she is one of the nicest and warmest members of the Grand Ducal Family of Luxembourg. Unfortunately for us, the news and events of the wife of Prince Guillaume aren't very well covered by the press (and thus us) but that gives us all the more reason to shine some light on her. Born as Sibilla Sandra Weiller on June 12, 1968 in the French town of Neuilly-sur-Seine, she is the daughter of Paul-Annik Weiller and Donna Olimpia Torlonia di Civitella-Cesi. She has three surviving sisters while a brother and another sister both died in childhood. Both of Princess Sibilla's sides of the family are so interesting that they could merit their own posts so we are simply going to focus on a few interesting bits. Her paternal grandfather was Paul-Louis Weiller, an aviator, engineer, industrialist and famous patron of the arts. Shot down no less than five times by Germans during World War I, he was one of the youngest recipients of the Legion d'Honneur and later made a fortune in the civil aviation, oil and international banking industries. He was secondly married to Miss Europe 1930, Aliki Diplarakou. Aliki, Sibilla's paternal grandmother, later went on to marry Sir Jack Russell a British diplomat and ambassador to Ethiopia, Brazil and Spain. Meanwhile, Princess Sibilla's maternal family is even more illustrious and features some very royal heritage. Her mother, Donna Olimpia Torlonia di Civitella-Cesi is the daughter of Alessandro Torlonia, 5th Prince of Civitella-Cesi and his wife Infanta Doña Beatriz of Spain. Beatriz is the daughter of King Alfonso XIII of Spain and Princess Victoria Eugenie of Battenberg, a granddaughter of Queen Victoria of the United Kingdom, which makes Princess Sibilla related to about every European royal family there is. She and her husband are fifth cousins once removed. Princess Sibilla, who speaks five languages, grew up in Geneva where she attended the Institut Florimont, a coeducation Catholic boarding school. She graduated from the school with a baccalaureate in economics with honours. From Switzerland she then moved to France where she attended the École du Louvre in Paris from where she graduated with a diploma in Art History in 1991. She subsequently continued her studies in London while focusing on contemporary art. During her studies, Princess Sibilla worked in the restoration department of the Musée des Monuments Français. Before opening her own art gallery in London in 1993, she gained experience while working for different galleries as a public and international relations director. 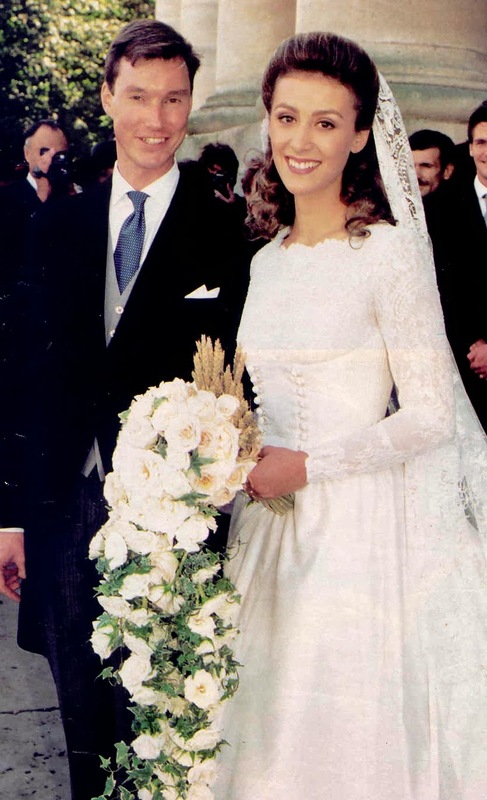 On April 11, 1994, the cour grand-ducale announced the engagement of Prince Guillaume and Sibilla Weiller. On September 8 that same year, she civilly married Prince Guillaume, the youngest child of Grand Duke Jean and Grand Duchess Joséphine-Charlotte. The religious wedding took place on September 24 at the Saint Louis Cathedral in Versailles and was attended by some 1,200 guests including an array of royals. The bride wore a creation by Italian designer Valentino. Shortly after their wedding, Prince Guillaume and Princess Sibilla moved to Luxembourg where they continue to live to this day. They are the parents of Prince Paul-Louis (*1998), twins Prince Léopold and Princess Charlotte (*2000) as well as Prince Jean (*2004). 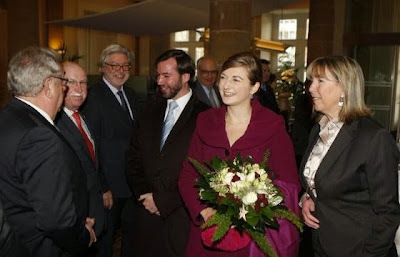 Since her wedding, Princess Sibilla has been involved in various private cultural institutions and associations linked with social and cultural activities both in Luxembourg and abroad. As mentioned before, sadly most of them aren't covered by the media and thus it is often hard to find news and updates about her. She is a member of the the acquisition committee for the Musée d'Art Moderne Grand-Duc Jean and is on the advisory board of the the Weicker Foundation, the Peggy Guggenheim Collection, the European Museum Academy, the Edward Steichen Award as well as the Association des Victimes de la Route. Until 2013, she was the international chairman of the Venetian Heritage Foundation. She also worked as the director of a London art gallery until 2000. In 2006, the Princess co-founded an association for the welfare of children’s education in Luxembourg called La Femme Contemporaire ASBL. 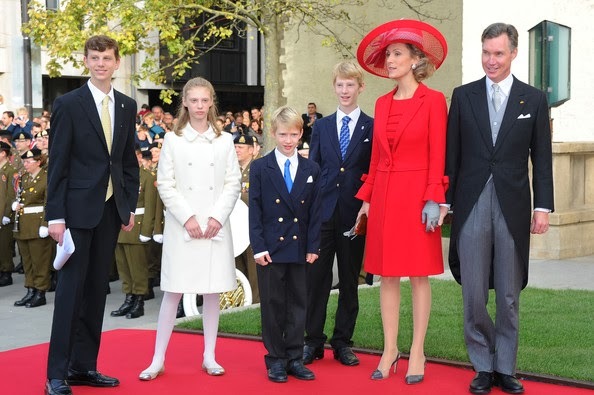 While both Prince Guillaume and Princess Sibilla regularly attended official events of the Grand Ducal Family during the first few years of their marriage, they have faded into the background since Guillaume's older brother Henri became the Grand Duke in 2000. It seems that they indeed do less events but also that they aren't always mentioned by both the cour and the press when they attend the same events as other members of the Family. 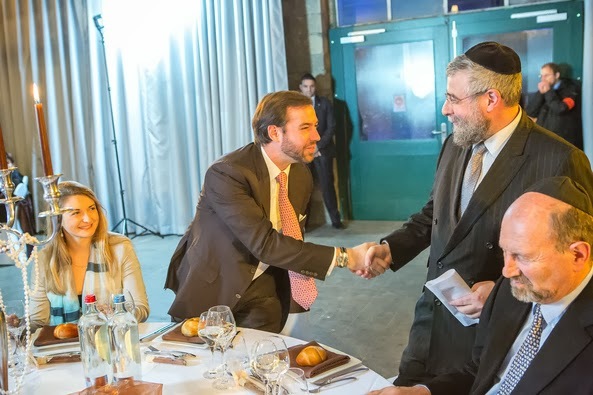 Last night, Hereditary Grand Duke Guillaume and Hereditary Grand Duchess Stéphanie attended the award ceremony of the first ever Internet Entrepreneur Prize handed out by the Conference of European Rabbis. The couple was accompanied by Deputy Prime Minister Etienne Schneider as well as another one of Stéphanie's beloved scarves. The event was held at the Château de Septfontaines and rewarded young digital entrepreneurs who developped different kinds of apps bringing together the digital world and Jewish traditional values.